Here we go, I'm sharing another Fire Friday excerpt from my paranormal romance novel "Playing with Fire". This snippet is from the first chapter. Felicia hoped she sounded as reassuring and self-assured as she wanted to. The man’s frown deepened. Crouched down so close beside her, he leaned forward, and peered into her face as though he wanted to look through her eyes into her soul. She shivered involuntarily. The man laid his other hand on her shoulder, softly yet firmly. She felt like laughing because what she felt was so unlike pain, but she choked the laughter back down and worked hard to sound innocent and calm and confident. He dropped his hands abruptly, but didn’t seem to believe a single word she was saying. Hearing him mention the fire brigade and medics sent her inner alarm bells ringing. She had to get out of here! If she understood the situation right, he had saved her from the burning house and wanted to know she was taken care of. To read more Fire Friday excerpts, click here or here. To buy my book, click here. Is it really possible that somewhere in time, the perfect paradox could be created? Does romance really stand a chance, and could it ever flourish amidst so many intricacies and broken lives? How can a nineteenth-century governess unknowingly cause so much devastation? 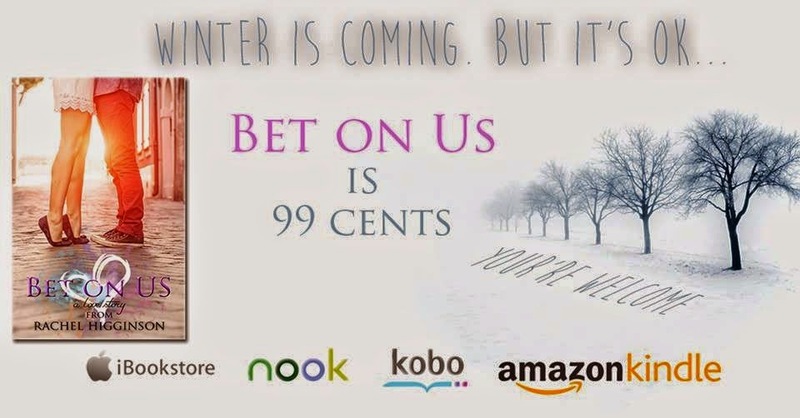 As Nell’s world opens up, we follow her on a complex journey, on which she discovers love, loss and betrayal, and is forced to play a dangerous game from which there appears to be no escape. Could a possible rip in time be the salvation that Nell seeks? I certainly don't miss the cold, but I do miss autumn / fall the way I experienced it in Germany for 19 years of my life. There's something about it that holds promises of magic (unless you get soaked to the bone or slip on a layer of wet leaves)... So here's an autumn poem I wrote today. 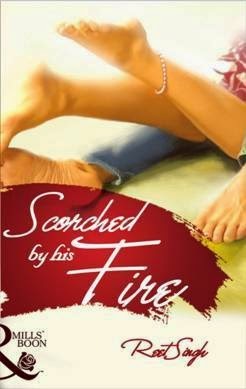 It's time for another FIRE Friday excerpt from "Playing with Fire", Book 1 in the 4 Elements of Love series. To make it more special, today's picture to go with the snippet is one of my own drawings / designs. Where to start? What had happened the day she had set the doll on fire? What triggered her special ability? How much heat could she actually handle? How much heat could she cause? Hesitantly, she leaned forward, one hand stretched out toward the water, the other bracing her body on the rock. She thought of the heat traveling inside her body, and of how sometimes it would increase and radiate, making her skin glow or letting others think the room temperature had risen. Taking a deep breath and exerting pressure, as though she wanted to push something from the inside out, she imagined her heat emanating from her body. Did she trick her eyes or was a soft, golden-russet glow lighting up her skin, contrasting with the cool, silvery moonlight from above? She bit her lip in concentration, leaned toward the river, and dipped her faintly glowing hand into the water. First there was a shock of wet cold. It made her want to pull her hand out. She could feel the current and insistency of the night water against her fingers that had lost their heat. How to fight back? Where was the fire to draw on? She remembered the moment when he had kissed her and she had shone as if with an inner light bulb. Holding on to the moment, longingly drawing it out, she closed her eyes and exerted pressure again. And suddenly, the water didn’t feel cold to her anymore. When she opened her eyes, she could see her fingers glowing under water. With a soft whoop of delight, she pressed harder, her teeth buried so deep in her lower lip that she drew blood. The sharp prick of pain fueled her fire. In another moment, she had heated up much more. Wisps of steam coiled up from the place where her hand lay submerged in the water. To read more Fire Friday excerpts, click here. 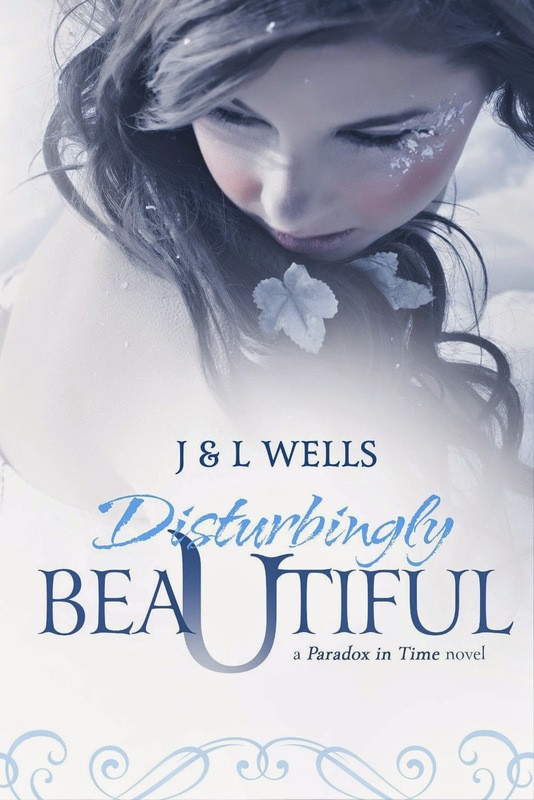 To buy my paranormal romance novel, click here. In a shortsighted decision, she follows her high school boyfriend to college, only to get cheated on and then dumped. And to add insult to injury, her overprotective family is suddenly clinging to her again, fighting to control every part of her life. Fin Hunter insists Ellie owes him seven thousand dollars from an online poker game and he won't stop until he collects it. Determined to keep her family out of her life, Ellie agrees to work for Fin in his illegal online poker operation. He's given her six weeks to pay off the debt. Soon sparks are flying between them and the only thing keeping her from falling for him is the debt she still owes and the money she doesn't have. This book was previously titled Bet in the Dark. I am so grateful to every reader who picks up one of my books! And so thankful that you cared enough to stop by! I love hearing from you and interacting with you, so here are all the ways to get in touch with me! I have a Pinterest Page for each of my series where I post pictures of places and actors that I envision playing my characters! It's a lot of fun!!! Check it out! Come join me author Rachel Higginson on November 24th for an author take over at Twin Sister's Rockin' Book Reviews!!!! It's going to be oh so fun!! We'll talk books. And book boyfriends. And the upcoming season of Love and Decay! And The Redeemable Prince!!! And Five Stages of Falling in Love. And really everything you want to talk about!!!! We can discuss Gone Girl and how it's making me question my sanity. Also there will be giveaways!!!!!!!! 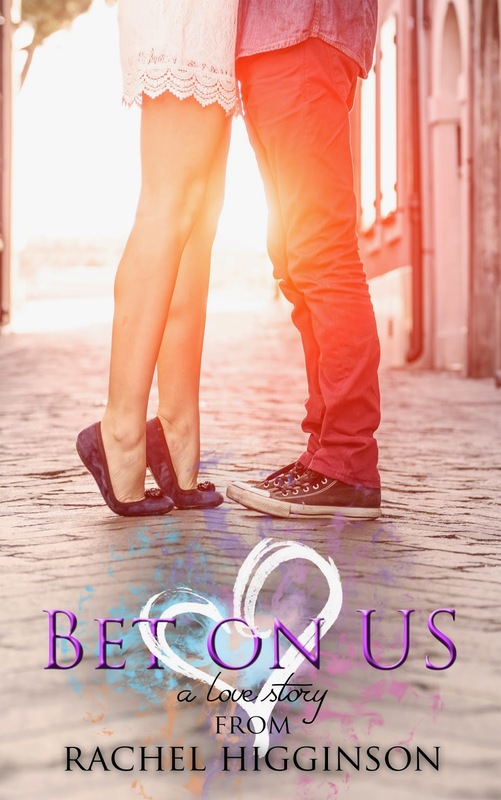 I don’t normally read much YA or NA, and college romances are something new to me – but I’m very glad I got a chance to read “Bet on Us” by Rachel Higginson for this blog tour. I loved it! Most of all, I enjoyed reading about the heroine, Ellie. She was a refreshing change from all those either weak-willed or slow-brained heroines that abound these days and are only governed by their body and physical attraction. I loved it that she is intelligent and different from the others, sort of the bookish underdog that suddenly realizes she has a wilder side to her. Her friend Britte was perfect too, just the kind of friend I think she would and should have had in real life. And kudos to the author for writing such an interesting family background for Ellie. Her beefy brothers and overbearing mother are pieces that fit the puzzle very nicely and give the story depth. Like the main characters, the secondary cast was brilliantly fleshed-out and credible. It’s one of the reasons why I felt like watching a movie instead of merely reading a book. And let’s not forget Fin, the absolutely adorable hero. Gorgeous, dark, dominant on the outside and caring on the inside, he’s every girl’s (and reader’s) dream and a perfect match for Ellie. While it seemed at the start that they couldn’t be more different, they were indeed meant for each other, and I love all the twists and turns that kept them from falling all over each other too soon. Never mind that it’s celebrated in the USA, if it means we can share our love for writing then I’m in. The holiday was founded by John Riddle in 2002, himself a ghostwriter and author. His intention was for people of all ages, to write something on that day, be it a poem, a short story, part of a novel, a letter to someone, a diary entry, an article or…well, or a blog post. The holiday is celebrated by writing events, especially in schools and libraries, and people are encouraged to write in groups and work together on a fascinating project. You can find more information here. As for me, I want to use this opportunity to share what I love writing about most, and what I love about writing most. - I can let out sides to me I usually not show. - I can be creative. - I can share something with others, maybe even leave a lasting impression or influence them. - It makes me whole. I cannot not write. - It’s my preferred way of communication. What about you? What are your favourite topics to write about, or what are you best at? Why do you love writing? What kind of writing do you love most? “Lady Brittany, what an unexpected pleasure meeting you. Then again, it’s well known within the ton you’re a bluestocking so I’m not that surprised on seeing you here,” he informed her with a bow. “M’ lord, I’m truly astonished to see you at such a fine establishment as Mr. Winterbottom’s. After overhearing your conversation last night, I wasn’t sure you knew how to read. Now please remove yourself from in front of me so my maid and I may return home,” she demanded. This time, much to her amazement, he did as asked and without saying anything until she stepped out the door and about to descend the steps. “I hope you were able to find a book or two so you won’t be lonely at the ball this eve,” he sniped at her. “Of course I did,” she snapped back while holding up the wrapped one on Africa. From the expression she saw in his dark brown eyes, Brittany suspected he knew exactly what the book was but she didn’t want to say anything. Brittany watched as he tried to say something in response to her comment. When, out of frustration all he could do was shrug his shoulders she suspected this tiny battle had been won. Turning on her heels she, with a glance to Aggie, set off for her way home. As they fought the cold and the wind blowing down the street the heavenly scent of fresh-baked rolls caught Brittany’s attention as they came upon a tea room. With a glance to Aggie she cocked her head toward the shop. “The fragrance of those cinnamon buns is making me hungry. Shall we stop in for tea and a bite to eat? I’m sure Lord Palmer will be rushing to find me and insist I turn over my book to him,” Brittany suggested. “Aye m’ lady. If he’s in a rage as you suspect, he won’t be looking in the windows for you. Then, we can leisurely enjoy the offerings before returning home, where, if I don’t miss my guess, you’ll bury yourself in the book,” Aggie said in a teasing tone. “You’re so correct. I wager we could take a front table as he won’t even look in, thus allowing us the opportunity to giggle at his antics,” Brittany said arriving at the door to the tea room. As they stepped into the bakery they were met by a short, plump lady with rosy cheeks and her hair tied back in a bun. Behind her a young lad nervously shifted from foot to foot. “May we could have a pot of tea, Earl Grey if possible, and two of those heavenly cinnamon rolls? Also, as you have a front table near the fire we would like to sit there,” Brittany answered. “Certainly, and I’ve the tea you prefer. My son would be happy to take your pelisses,” the woman said, turning to the young boy and waving him forward. Once relieved of their outerwear the ladies swept over to the table they’d requested. Taking a seat so she would be able to look out at the street Brittany started to unwrap her book but thought better of it.